Africa's most wealthy country and known for its relatively high cost of living, the Seychelles is famous for its sandy beaches and secluded islands. The Seychelles was recently brought to the attention of the world when Prince William chose this archipelago as the destination for his royal honeymoon, staying at a luxury villa on North Island. 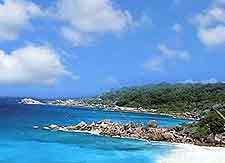 Most tourists choose to holiday on Mahé, the biggest island within the Seychelles group, where northerly Victoria is the capital and economic hub. For tourist information in Victoria, head to the tourism outlet on Independence Avenue - close to the stadium (Stade Linité), or to one of the travel agencies based around Revolution Avenue and Albert Street. 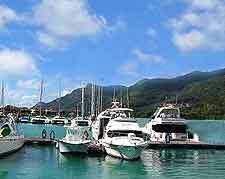 Praslin and La Digue are also significant islands with good tourism infrastructures and plenty of tropical beaches. 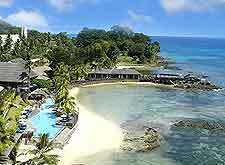 Most people come to the Seychelles for the sun and sand, and good beaches are never hard to find, although these days, some previously unspoiled stretches have become a little commercialised, dominated by modern beachfront hotels and their myriad of balconies overlooking the Indian Ocean. 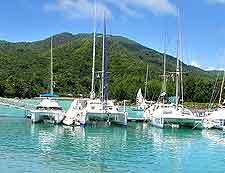 Those on holiday in Victoria will likely spend time on the adjacent Beau Vallon Beach, alongside Bel Ombre, where scuba diving in the bay of Beau Vallon is an additional attraction for many. To the north, the beaches of Glacis and Mar Anglaise provide something less developed and more natural in their appearance. Westerly Mahé is home to the Cap Ternay and Port Launay beaches, with the Port Launay Marine National Park being another popular spot for scuba diving. Head in a southerly direction and you will soon reach Anse Louis, Anse a La Mouche, Anse aux Poules Bleaues and Anse Soleil - just some of the further beaches on offer here. 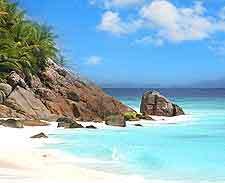 More information about Seychelles Beaches and Seychelles Scuba Diving. Apart from the beaches and water sports of the Seychelles, tourists will find lots of further attractions and activities available on the main islands. Boat trips offer a chance to see the coastline from a different vantage point and also allow the opportunity for some island hopping and seasonal whale shark spotting. Walking holidays are gaining popularity on Mahé, La Digue and Praslin, where hiking trails take you along the coastline, around the mountains and through the lush jungles. The Val Riche Copolia Trail is especially notable and takes in areas of the Morne Seychellois National Park. Cycling, horseback riding and golfing also await holiday makers. A good place to appreciate the local flora, the Botanical Gardens of Victoria come with mature specimens of the unusual Coco de Mer palms. Also in Victoria is the Kot Man-Ya Exotic Flower Garden and its friendly animals. On La Digue, Le Jardin du Roi is a further botanical highlight, as is the island's former coconut plantation named L'Union Estate and its giant tortoises. Wildlife abounds within the dedicated nature reserves on the islands of Aride, Cousin, Curieuse, La Digue and Praslin, where you can see everything from terrapins, turtles and tortoises, to fruit bats, lizards and exotic birds. 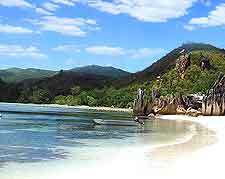 More information about Seychelles Tourist Attractions and Seychelles National Parks. The colonial history of the Seychelles can be best appreciated around Victoria, where various important buildings and structures reside. The most recognisable of these include the Clock Tower, the Old Courthouse, the State House and the Bicentennial Monument, which is also known as the Twa Zwazo (Three Birds) and symbolises the combination of the archipelago's European, African and Asian heritage. Close to the Palm Street Bus Terminal and Market Street, St. Paul's Cathedral is another noteworthy sight and dates from the 19th century. Victoria's Hindu temple named the Arul Mihu Navasakthi Vinayagar may also be of interest to sightseers, appearing much older than its youthful years. 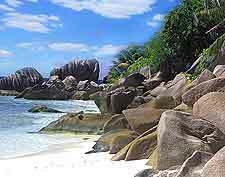 More information about Seychelles Landmarks and Monuments. Victoria is also the place to come for culture in the Seychelles. Here, the small National History Museum on Francis Rachel Street contains many of the country's most precious treasures, important old maps and related information. Victoria's National Museum of Natural History on Independence Avenue is the place to come if you are interested in indigenous Seychellois wildlife. The National Cultural Centre, the People's United Party Museum, the National Library and the Kaz Zanana Gallery are further cultural attractions based in Victoria, while elsewhere in the Seychelles, La Digue and Praslin contain a smaller number of museums and galleries, celebrating the history of the islands and featuring many paintings of the coastal landscapes. 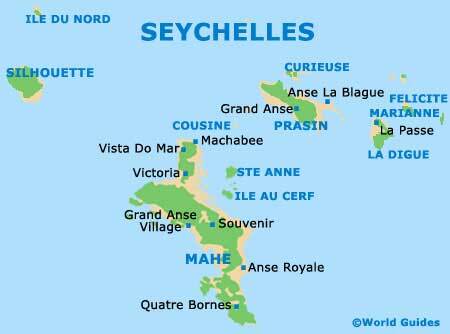 More information about Seychelles Museums and Seychelles Art Galleries. The Seychelles Islands are part of the Mascarene Islands, together with the southerly islands of Réunion and Mauritius, which are connected by regular ferries and flights, should you wish to continue your holiday elsewhere. Rather closer and much, much larger is Madagascar, the world's fourth-biggest island. Antananarivo is the Madagascan capital and this centrally located city is the ideal spot to base yourself for excursions to the island's national parks and beach resorts. Lying to the far north-east are the Maldives, and to the west, mainland Africa's United Republic of Tanzania and its islands of Zanzibar. 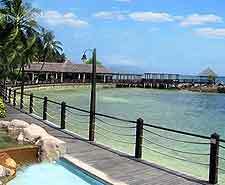 More information about Seychelles Attractions Nearby.